Passions Network- Worldwide Online Dating Service! Passions Network is a virtual meeting place where people from all over the world can meet and talk; you'll find the whole diversity of human interests, life styles, ideas, and issues here, and you'll be able to participate in group discussions on one of the many hundreds of Passions Network sites, or just talk in private to family or friends, wherever they are in the world. Enjoy free email, text chat, audio chat and even webcam chat." Your compatible Iranian Singles Community. Great site for meeting other like-minded Iranian Singles. Create your free profile now. The sooner your profile is online, the sooner the person you are looking for can find you. "Iranian singles meet their match on Iranian Singles Connection. Our matchmaking technology helps you create a personals profile and find a match based on your personal preferences. Singles seeking an Iranian, or a match from anywhere in the world can build their personals ad FREE and enjoy chat, message boards, a photo gallery and more." Established internet community of Iranian singles around the world who are serious about finding the love of the their life. Standard membership is free. As part of one of the largest online dating networks, Muslim Friends is a great place for Muslim singles to meet online. It only takes a moment to check it out, and signing up is free. "All video Muslim Marriage community." India-Passions is a free personals site for Indian Singles. Join for free & take advantage of free email, chat, forums & more. Indian Dating - "The No. 1 Indian Dating Website!" "Welcome to IndianDating.com, the original and largest Indian dating site on the internet, screened and safe since 1998. We thoroughly screen all our profiles for your safety. With hundreds of thousands of profiles, what are you waiting for? Register now for free & create a photo profile, or start searching for your soulmate!" If you are looking for a little island flavor, Caribbean Cupid is the place for you. THE place for Caribbean singles & dating. 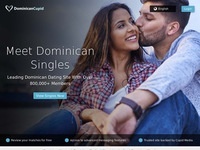 Dominican singles and dating are available on Dominican Cupid, a site focused specifically on the Dominican community. "AfroIntroductions.com is a Black Singles and African dating and personals site that assists people to find an African or African American partner for friendship, romance or marriage. You can use our site to find black personals, African singles, African ladies seeking marriage or Black women seeking dating, friendship or pen pals. Get started now! 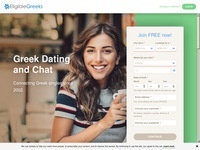 - Join for free to start meeting black people, black singles and African ladies for dating or marriage."